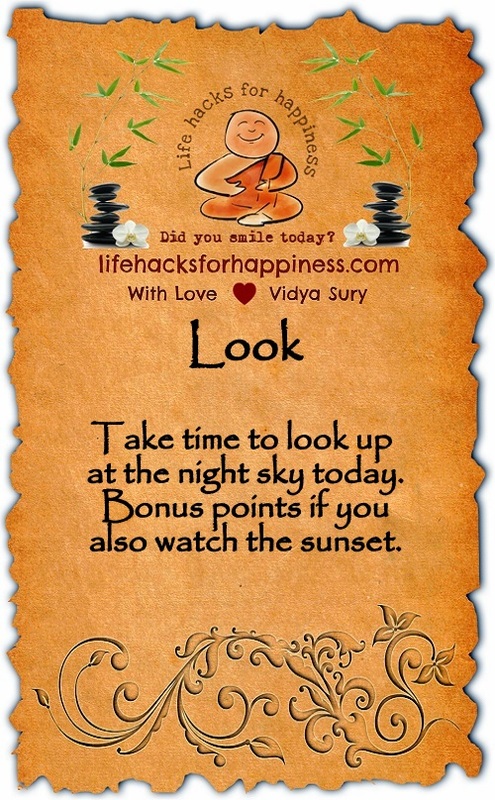 Take time to look up at the night sky today. Bonus points if you also watch the sunset. Enjoy the beauty. I look up at the sky every night 🙂 and I try to appreciate and look at the beauty in my world. Thank you for a lovely post.